Grup Heracles is the group that has resulted from mergers among some of the largest companies in the Principality of Andorra engaged in the construction industry and related services. This accumulation of experience and resources of all kinds brought into being our country’s leading enterprise in this area of economic activity. From this position, the Group has played an active role in the transformation and modernisation of infrastructure in the Principality of Andorra, in an environment made particularly difficult due to the difficult terrain here. Our experience and resources have enabled us to achieve excellence in all types of project, even in the case of complex infrastructure and special projects. Although Grup Heracles’ core business is construction, the Group is also present in public environmental and road service utilities, transportation, and manufacturing and marketing products for the construction industry. Grup Heracles possesses the financial, technical and professional capacity to successfully implement construction projects for all types of buildings and infrastructure, vertically integrating all the activities involved, as well as managing public services. 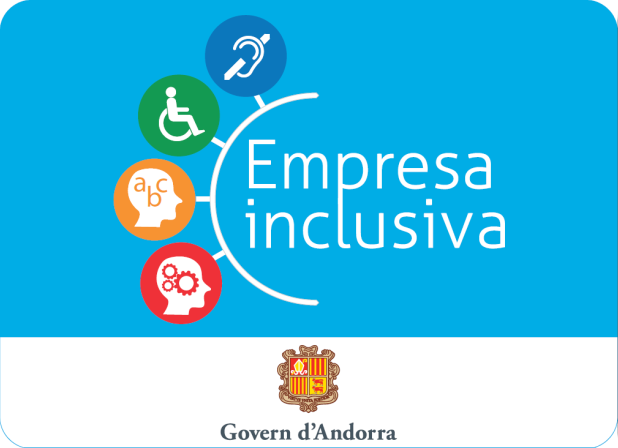 Through its commitment to Andorran society and support of initiatives that fit in with its core values, on 21 November 2017, Grup Heracles signed an agreement with the Andorra Employment Service to join the Inclusive Businesses Network, with a view to encouraging the integration of people with disabilities and ensuring equal opportunities in the world of work. In 2005, a number of Andorran business enterprises engaged in the construction industry decided to join forces and form a single group. The sum of the long histories behind each of these groups gives Grup Heracles as a whole a trajectory that is closely linked to the development and transformation of Andorra over the last 60 years. Indeed, Grup Heracles and its subsidiaries have built practically all the key infrastructure in the Principality of Andorra and have provided a range of services essential to Andorran economic life as we know it today. All this makes Grup Heracles and its companies a reference point in public works, construction and related services. As a result of all this past activity, Grup Heracles has built up a technical capacity that positions the Group as a European leader, both for special projects and the construction of complex infrastructure in mountain environments, skilled and experienced enough to provide integral solutions to works of extreme technical difficulty. Today Grup Heracles vertically integrates all the activities that make up the so-called construction cycle: quarry management, production and transportation of aggregates, production and distribution of concrete, earth moving and excavation, construction and special projects, centralised contracting, waste management and transportation, building waste, landfill management and the environmental restoration of quarries. Another of the activities that Grup Heracles has engaged in almost since the beginning of its activities is waste management. Moreover, enormous advances have been made in this field and, today, Grup Heracles manages all types of waste (municipal solid waste, collection and selective sorting, hazardous waste, oil, building waste, WWTP sludge and so on), as well as various parts of the whole management and processing cycle. All this goes to make Grup Heracles a reference, and the leading waste management company in the Principality of Andorra. Our activity focuses on the construction sector, including civil works, building and the environment, as well as all related services. Our Group, with its competitive, innovative, integral, professional and socially responsible projects, seeks the full satisfaction of each organisation, each company and, in particular, each individual person that we establish relations with, both internally and externally. We work to position the Group as a point of reference. At the head of a solvent, competitive business group thanks to a highly professional team and a united and committed group of shareholders. Our goal is to constantly seek excellence, competitiveness and sustainability in all our activities.